D-Generation: An Exaltation of Larks is a full-length theater piece based on stories written collaboratively by groups of people with late-stage dementia. 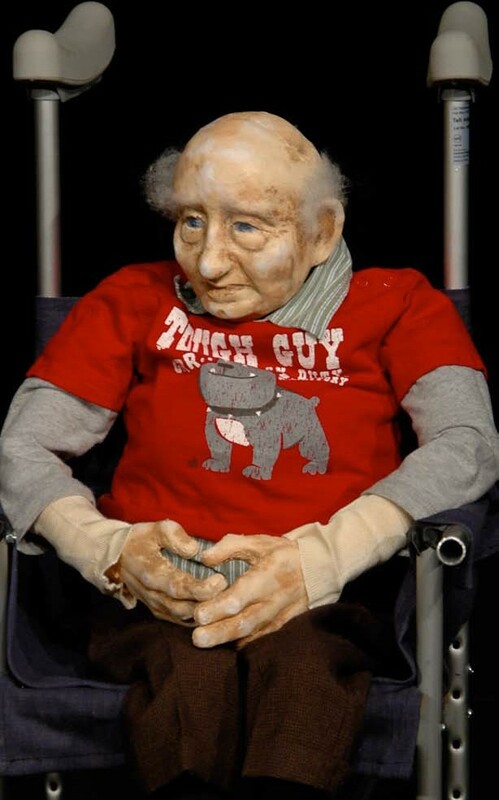 The work is performed by three puppeteers (the caregivers) and five puppets (the residents of a care-facility). Set to a compelling original score and striking animated video segments, D-Generation takes us into a world that is all too much a part of our lives. D-Generation explores the rich creative potential and ability to communicate that exists in people with late-stage dementia. Their words, their images, and their creative imaginations, yield work that is poetic, humorous, and quite mysterious. 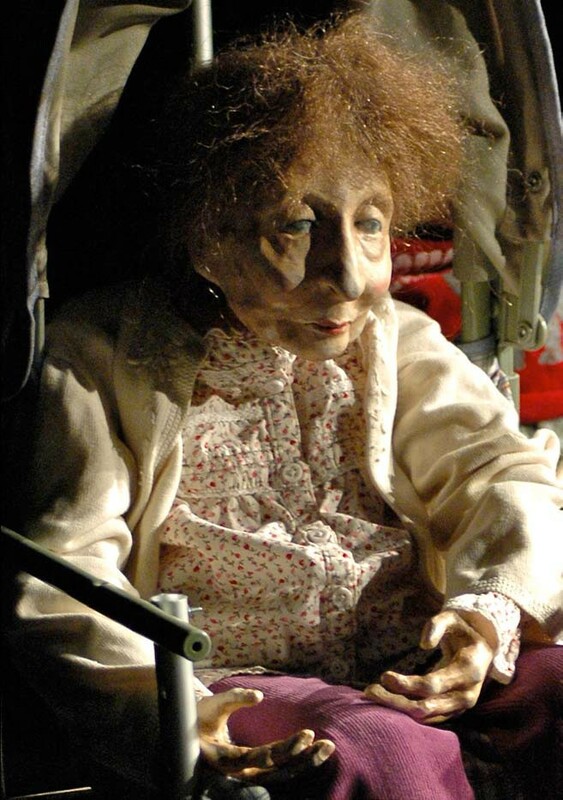 From these stories, Sandglass Theater forms scenes of the inner life of the characters, and creates a piece that reflects both the stigma and the acceptance, the despair and the joy, that is equally present and possible, in both the person with dementia and in their caregivers and family members. The collected stories, which are associative and non-linear, were gathered by Sandglass Theater’s performers during 20 visits to care facilities, during which circles of people with dementia were guided through a collective story–making method called Timeslips. These stories reveal a humor, and playfulness, as well as the dark reality of the disease. They stand on their own as dramatic material from a remarkable source. These stories, combined with the compelling process of writing them, form the inspiration for D-Generation. The New England Foundation for the Arts National Theater Project with lead funding from the Andrew W. Mellon Foundation, The National Endowment for the Arts, The Jim Henson Foundation, The Clowes Fund, Fresh Sound Foundation, The McKenzie Family Charitable Trust and donations from their generous supporters on Kickstarter.